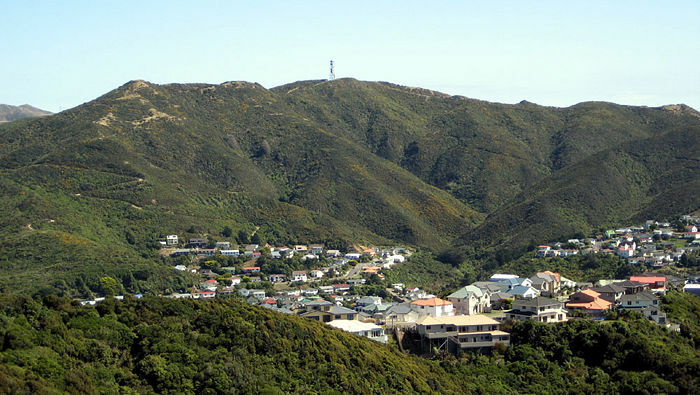 Makara Peak overlooks both the town of Makara, and the suburb of Karori, and is just a few minutes from suburban Wellington. 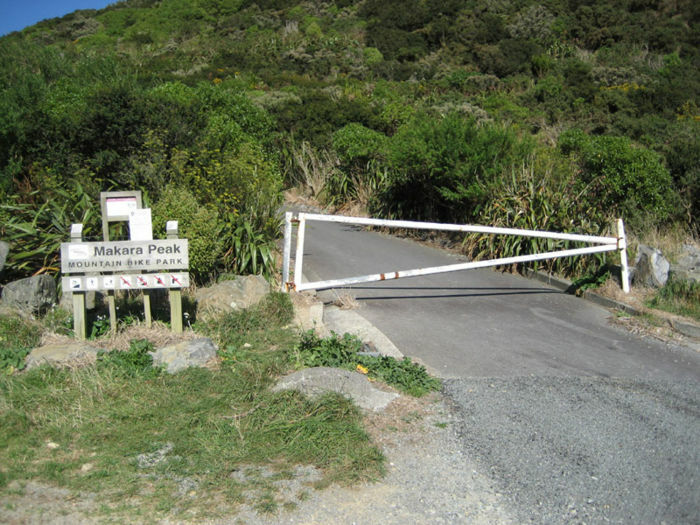 Makara Peak is a popular mountain bike park and as such pedestrians must give way to mountain bikers at all times. However if you stick to the 4wd roads, there is plenty of room for both cyclists and walkers to coexist. 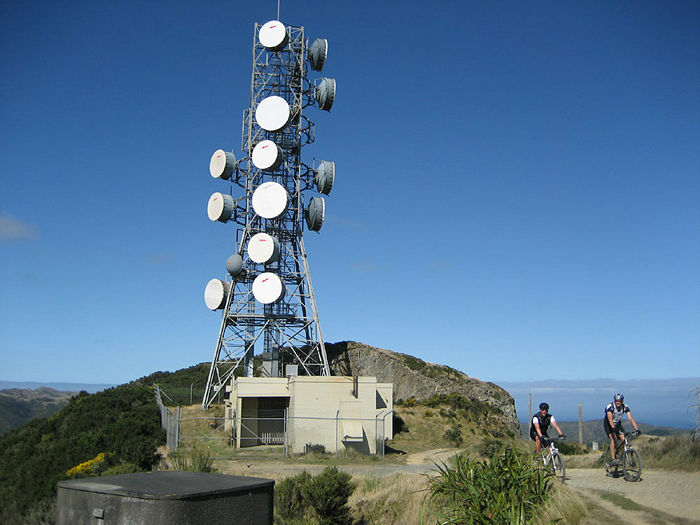 Makara Peak Mountain Bike park contains many cycle tracks as well as a network of 4WD roads. 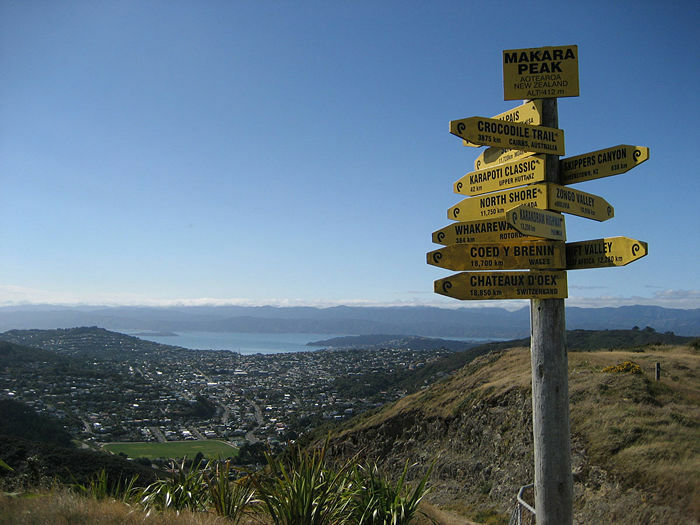 You can select your own route from this Makara Peak map but it is best to stick to the thick dotted line of the ‘dual use 4WD track’, as many of the other tracks are intended for mountain bikers. 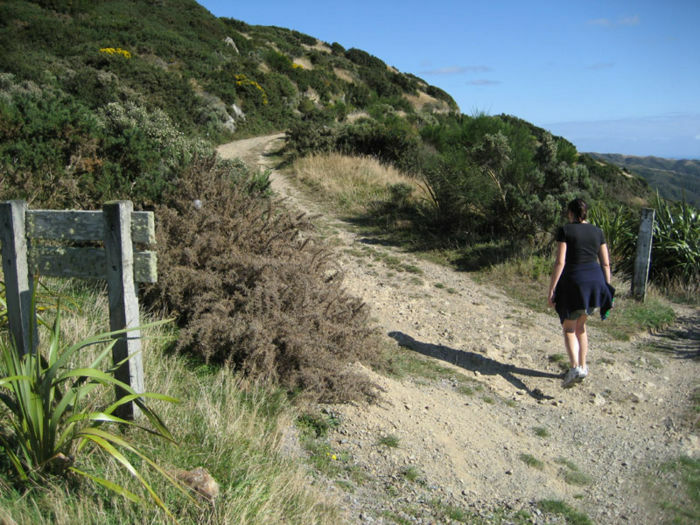 The easiest and best route is to park in one of the carparks on Makara Rd, and then walk up the zigzag of Varley’s track. The track begins up a short, steep sealed road which leads to a water tank. At the water tank, turn right, and start up the narrow Varley’s track. Stay on this track until you reach an obvious 4WD road – turn left up the road and continue all the way to the summit. At the summit you will see a large communications tower. If you look across towards the South Island, you will notice that there is a direct line of sight to land on the other side of Cook Strait, but with no water interrupting the view. Apparently this is important for the signals which emanate from the communications tower. One of the highlights at the summit is the classic AA sign, bearing the directions and distances to many parts of the world, including the Rift Valley in Africa, to name just one. Signs like this can also be found at Cape Reinga and at Bluff, so the Makara Peak sign makes a nice halfway point for fans of such ‘sights’! Pedestrians and mountain bikers share the park, so you will need to be vigilant for cyclists at all times. Always keep to the left of the track. 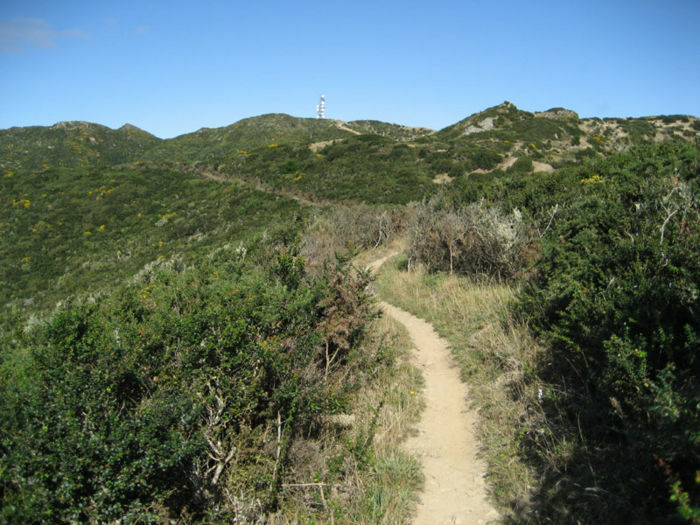 Most bikers go to the park on weekends, so you may find it is better for walking on weekdays (luckily, a return jaunt up Makara Peak can be easily be achieved on a long summers evening). However, we walked to Makara Peak on a perfect Sunday morning and encountered only two mountain bikers sharing Varley’s track with us, so there is plenty of space for everyone.